50km cycling event starting from Carharrack, Cornwall. Controls at Higher Lanner Farm, Helston, plus 1 information control. 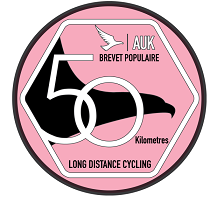 No SAE's required for this event as Brevet Card is validated at finish and route sheet will be sent to your email address (However if you do not have an email address please include 1 x SAE for route sheet).